As a young prosecutor, Lauren Matthews made a name for herself by winning a conviction in Arlen Fieldstone’s murder trial in Albany, New York. Nine years later, she is a successful jury consultant on the verge of becoming a partner in a prestigious firm when Arlen Fieldstone is exonerated and released from prison. Although Lauren was only one part of the system that convicted an innocent man, she is the target of indignation over the miscarriage of justice—public outrage, Arlen’s consuming anger, and Lauren’s own sense of failure. She feels that someone owes Arlen an apology, and she seems to be self-elected. She travels to Arlen’s hometown, Richmond, Virginia, to deliver her apology personally. Will Farris, a dealer in antiques and Arlen’s best friend since childhood, has always believed in Arlen’s innocence. He was there when Arlen was released, and he has offered his friend sanctuary while Arlen reorients himself to freedom. Arlen rarely leaves the apartment over Will’s antique shop, and he never leaves the shop. Lauren can make contact with Arlen only through Will, and Will doesn’t trust the woman on whom he has focused his anger since the days of Arlen’s trial. But Lauren is persistent. She refuses to leave Richmond until she sees Arlen. An attraction sparks between this unlikely pair, and it grows as Lauren becomes Will’s “picking” partner as they search out finds for his shop. Time with Will is causing Lauren to question the life she has created for herself, and Will has secrets of his own that he fears revealing to Lauren. Meanwhile, Arlen slowly emerges into the world he fears, and in another part of Richmond Eula, his former wife, questions the choices she made. The relationship between Lauren and Will is a significant element in this story, but it is more the story of three, perhaps four, journeys of people who must find the keys to unlock their self-imposed prisons than it is a romance. Dale shows us flawed people who long to do good in the world and want to find a way to create personal happiness as they do so. Lauren has lost herself in her drive to please her father and achieve the goals she has set for herself. For Will, something that began as a way out of poverty for himself and his family has become an obsession that limits his life. Arlen struggles to become more than the man prison has made him, but his anger over all he has lost keeps him trapped. Eula is frozen in-between her past and her future, unable to leave the one behind or to seize the other. Each of them has lessons to learn about forgiveness. She had to get Arlen’s forgiveness. Closure was not merely an amenity that would allow her to look herself in the mirror again; it was necessary. Before Arlen’s retrial, she’d felt untouchable. A monarch ruling her own life—to the awe and amazement of everyone who saw how young she was and how much she’d accomplished. The life they’d wanted had been snatched away from both of them by a court system gone wrong. Everybody felt bad for Arlen, wanted to help Arlen. But Eula? She was nothing more than the wife who hadn’t believed in him enough. Who hadn’t believed in her heart that he was fundamentally good. The guilty verdict had ruined both their lives—but Arlen had been cleared of blame. Lauren is a gifted people-reader, an expert in body language and an author of books on the subject. “Lessons” in reading body language introduce each chapter, and I found them as fascinating as the story. This was a book I found satisfying emotionally, intellectually, and aesthetically. I highly recommend this book for romance readers who have a taste for romance plus. This is also one I recommend for my non-romance reading friends. Shame on you for reading the ending first!! Who does that? Great review, Janga. This sounds like an excellent book. Plus, I love the idea of reading body lanuage. This book sounds like a great read showing how emotions toward someone can change from disgust to pity to shame to love. I would be very intrigued to see how the author handles this. Thanks for the sharing this review, Janga. Thanks, Janga! I'm looking forward to reading this. I've heard so many wonderful things about Lisa Dale's writing. I bought her last one, Slow Dancing on Price's Pier after reading your review here. Unfortunately, it's still waiting on my ever-growing tbr mountain but I will get to it! LOL I see that I surprised many of you with my penchant for reading the end first. I nearly always do that. If I don't like where I end up, I don't want to take the trip. I'm not the only one--honest. There are others out there who not only don't mind spoilers but actively search for them. Don't worry Janga, I often take a peek at the end of a book at some point along the way; you are not alone. This seems like a very appropriate book for these times. It seems that we now often read about someone being proven innocent of a crime for which they have served long sentences through technological advances in forensics. Thanks for the review. 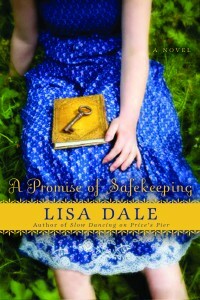 I have looked at the blurbs for Lisa Dale's books and been intrigued many times. It sounds like she is always taking what on the surface is a simple situation and by exposing its many layers, showing just how complicated it really is or can be. l look forward to reading her books.